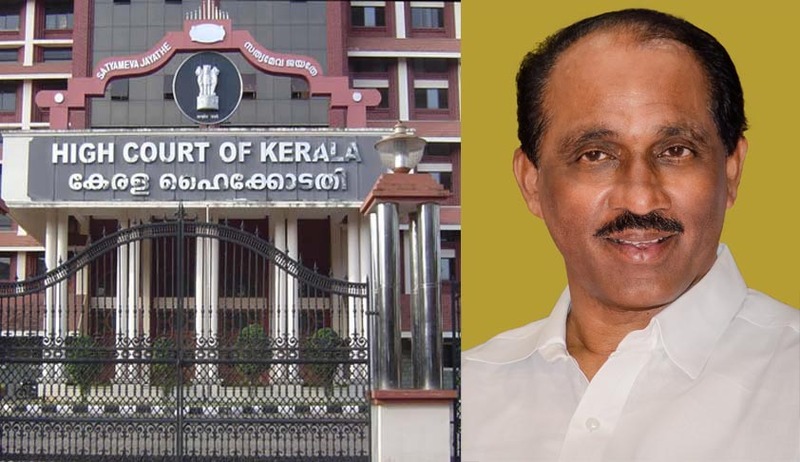 In yet another setback to Government of Kerala, Kerala High Court today refused to stay the Vigilance Court order which had ordered Vigilance& Anti-Corruption Bureau (VACB) to lodge case against K Babu. First Bench of the High Court comprising of Chief Justice Ashok Bhushan and Justice A.M. Shafique said the order of Vigilance Court can be challenged in appropriate proceedings. Opposition MLA Sunil Kumar and few other had preferred a petition before the High court seeking the CBI investigation in Bar Scam case. During the pendency of the proceedings before the High Court, the Vigilance court Trissur passed an order directing the Vigilance to register a case against K. Babu. Following this order, K. Babu resigned from the post of Excise Minister. The Vigilance Court also had said that the order of that Court would be eclipsed by the High Court decision whether or not to entrust CBI with the investigation of this case. Today morning, as the Petition came for hearing, the Advocate General on behalf of the State pressed for a Stay of the Vigilance Court order. The Advocate General submitted by swearing an affidavit before the court that Vigilance Court, without considering the fact that this petition is pending before High Court proceeded to pass the order. The petitioner in the Writ petition submitted that there is no reason why High court should stay the vigilance court order, in a writ petition filed by the petitioners. They also pointed out that de facto complainant in Vigilance Court are not party to the present Writ proceedings. ‘We do not think that we should entertain the above application, as it is always open for the aggrieved parties to challenge the above order before the appropriate proceedings. It might be true that the Vigilance Court should have waited for the orders to be passed by this court, especially when the said matter was brought to the notice of the vigilance court. But having regard to the fact that orders have been already been passed, it has to be challenged in accordance with law’, said the Bench closing the application for interim stay. Two months ago, a single Bench of High Court of Kerala had upheld that the court order which directed a further investigation in the vigilance case against the thenFinance Minister of Kerala, K.M. Mani is perfectly justified. As a fall out, the Minister had tendered resignation. Read the vigilance court order here.